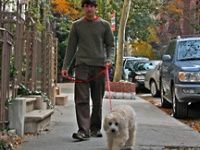 There are few things in life that a dog loves more than running off-leash with his human companion! Find fun dog parks in PA.
Great Off-leash Dog Park in PA! Scenic PA Dog Parks - A Fun Day Out for Fido! This dog park is located in beautiful Curtis Arboretum and offers more than an acre of land for your canine friends to roam off-leash. Kept free by annual fundraisers, this park has several amenities including a pooper-scooper bag dispenser, benches and a water fountain with high and low spigots for you and your furry friends. Curtis Dog Park has separate enclosure for small breeds. 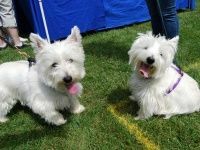 One of the most naturally beautiful dog runs in PA, Curtis Dog Park is a place you'll enjoy bringing your canine buddy. Open 8:00am to 8:30pm May through August and 8:00am to 6:00pm September through April. 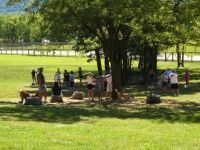 One of the Best Dog Parks in Pennsylvania! Two off leash areas are available for small and large dog breeds at this scenic dog park. Visitors must sign in before using the dog park. Daily rates are $4 for the first dog and $1.50 for each additional dog. Memberships are available at varying increments. Annual membership starts at $185. Conneaut Lake Bark Park is open year round from 7:30am to dusk. Outside the off-leash dog area there's a 1.25 mile walking trail, 2 ponds, and 38 acres of additional park area to explore. 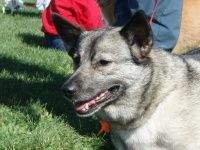 Conneaut Lake Bark Park also offers obedience training classes, agility practice, and rally instruction. Treats, toys and accessories are available for purchase at the Bark Park store. PA Dog Parks A Fun Place for Your Canine Friend! 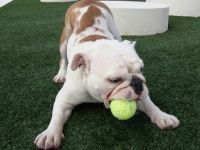 A free community-run dog park Horsham Dog Park is one and a half acres large, giving your pooch ample room to run. There are two fenced areas, one for dogs under 30lbs and one for all dogs. Its location within Kohler Park means that the dog park is surrounded by picturesque trees and beautiful foliage. Enjoy the scenery and peacefulness of your surroundings as your dog keeps busy playing with his four-legged friends. Taking your dog to a dog park provides him with vital socialization to ensure an even temperament and gives him a chance to run around unrestrained. Horsham Dog Park is perfect for this, and is one of the nicest dog parks in Montgomery County PA! One of the Best Lancaster Off Leash Dog Parks! Membership is required for this very secure dog park except on open dog park days when you can try the dog park for free (see calender of events). Yearly membership starts at $35 for residents and $55 for non-residents. See the website for a downloadable registration form. Dogs Run Free in this PA Dog Park! This free volunteer-run dog park located in Philadelphia is in larger Pretzel Park. Many amenities set this park apart from the rest. Doggie pooper-scooper bags are available near the gate of the dog park as well as water bowls and a doggie fountain. If your dog is a digger, rakes are provided for you to fill in what he digs up. Manayunk Dog Park has benches in the shade for you to rest your two legs while your four-legged friend wears himself out playing. If you're a Philly resident looking for nice local dog parks be sure to check out this Pennsylvania dog run! Open dawn to dusk. One of the Friendliest Philadelphia Dog Parks! This dog park is perfect for Philly residents looking for a place to let their pooch run and play. Hoping to promote a sense of community and a place for locals to meet fellow dog owners, Serger Dog Run is kept open by donations and memberships. Annual membership starts at $50 and includes a special dog run tag for your dog to wear on his collar. Serger Dog Run boasts a gated off-leash area allows dogs to run freely, a water fountain within the enclosure and doggie clean up bags to help keep the area clean. Open year round, dawn to dusk. Fantastic Dog Park in Pittsburgh! Register at the front office and then start off on an adventure with your canine friend. You and your dog can hike through wooded trails, play in the enclosed playground area, and when he gets too hot, your pooch can swim in the pond! Truly a dog's paradise! Bring a bowl for your pet and Misty Pines will provide the water! Open 6 days a week from 8am to 5pm. Rates are $6 per dog per 2 hour visit. Monthly passes are available in increments of one, three, and six months. 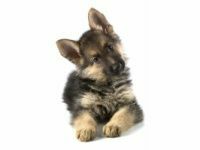 Misty Pines also offers dog training classes, doggy day care and dog boarding. A Gem Among PA Dog Parks! 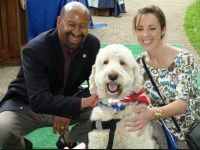 Do you live in Central PA and need a place to take your furry friend? Check out Tudek Dog Park! 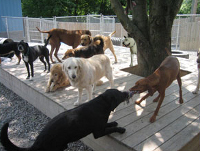 Pennsylvania dog parks are wonderful to promote healthy exercise and socialization in your pup. A Top Pennsylvania Dog Run!